Our second article for the Bavaria Owners' Association has now been published and you can read it here. We even made the front page! The weather has turned considerably milder, for the time being at least, giving us some respite from the frosty temperatures of December. 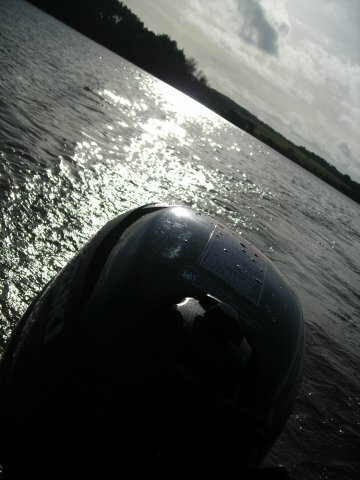 Last Sunday was so warm and sunny it seemed spring had arrived early, so we got Nessie (the dinghy) out in preparation for a trip down to Arzal on Monday. We needed to pay the sailmaker (for cleaning, minor maintenance and storage of our sails for the winter) and would also be able to check on some friends' boats. 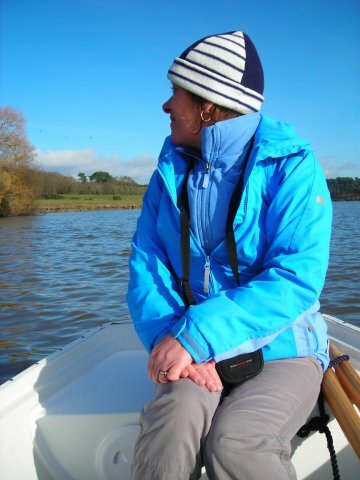 Although slightly cooler than Sunday, it was still pleasant and a welcome bonus to be out on the water in January. We had lucky timing for the trip, with one brief rain shower coming through just as we got to Arzal and could take shelter in the sailmaker's (and linger by the log burning stove in their reception!). The forecast increased winds came after we'd returned to Pipit and packed the dinghy away. On the log lookout - there were plenty to dodge going back upstream to LRB. The level of the Vilaine is maintained by the barrage at Arzal to prevent flooding along the river, so despite being non-tidal, there can be a fairly fast current running at times, particularly when it has rained heavily and the sluices are open at the barrage. Recently, they have been dropping the level quite substantially, being about 2 metres down on the highest level, although we haven't had much heavy rain here. Perhaps it's because of heavy rain further north/northeast in the canal system. 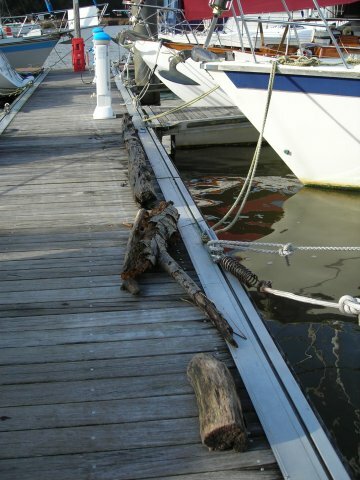 Some of the smaller boats and catamarans that are on moorings inside the pontoons and right at the edges of the river have even been aground! 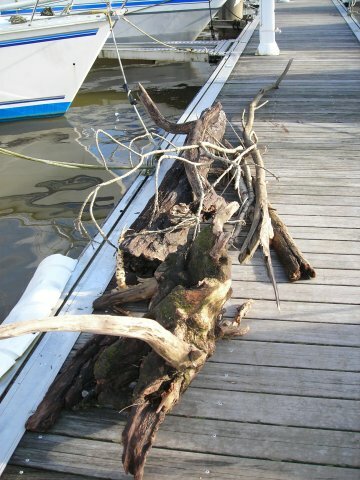 There have also been a large number of logs of varying sizes, along with other organic debris, sweeping downriver. We have lifted out several logs that have drifted into our vicinity, and are wondering if we should enter the pile we've created on the pontoon for the Turner Prize, or start a sideline in firewood, but alas, nowhere to store a chainsaw - well, without a chainsaw, it's not really art, is it?! 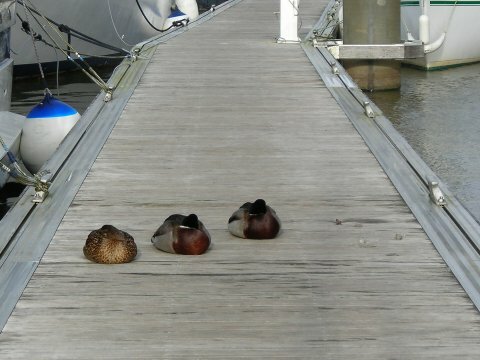 Awww, cute...and if they're sleeping, they aren't sh*tting on the pontoon!